Despite being a great supporter of a British Staycation even I have to admit that sometimes when you're stood in freezing cold winds with soggy jeans and wet feet it can feel like your holiday has been a bit of a washout and that maybe you were a bit silly not to jump on a plane and head for the sun. This was us as we stood on top of Mt Snowdon last week. Feeling slightly annoyed after an uncomfortable train ride to the top only to be stood at the summit surrounded by such thick cloud that we couldn't see any of those stunning views. If you're planning a staycation in the UK it's always best to pack your waterproofs and your sense of humour, something that we almost forgot during our recent staycation to Anglesey when, after a few days of rubbish luck and awful weather, we were ready to call it quits and go home early. Luckily we didn't return home to the North East when things started to go wrong because we would have missed out on discovering the wonderful things that Anglesey and North Wales has to offer, despite the ever changing weather. 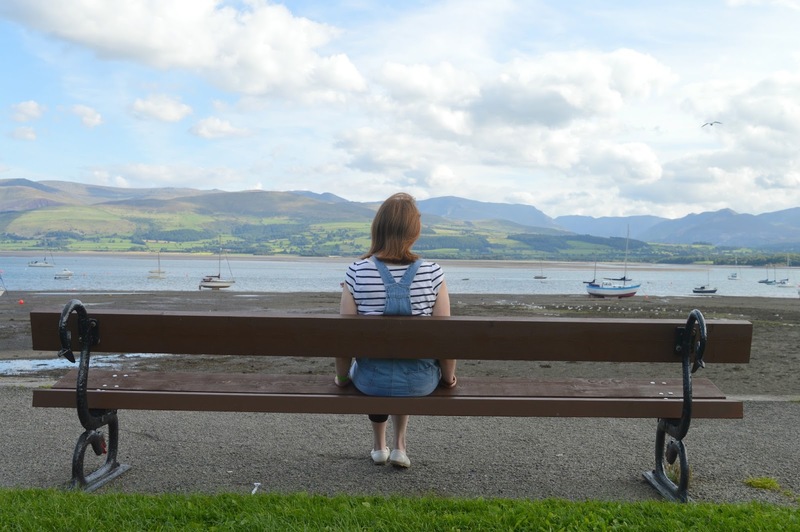 Here are just some of the wonderful places that we discovered on our staycation and where you should visit if you're planning a holiday in Anglesey and North Wales. Our base for the week was Little Hideaway, a gorgeous little cottage in the centre of Beaumaris booked through Boltholes and Hideaways. 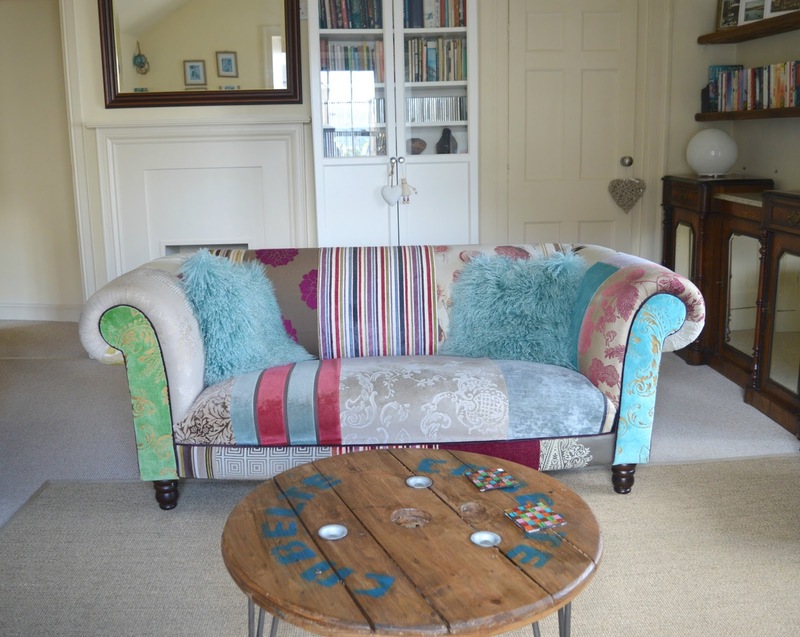 It took me forever to find our perfect snug home for our holiday but the website was an absolute treasure trove of cute instagrammable places to spend your holiday, I'd be lying if I said I didn't book our accommodation solely on this lush sofa. 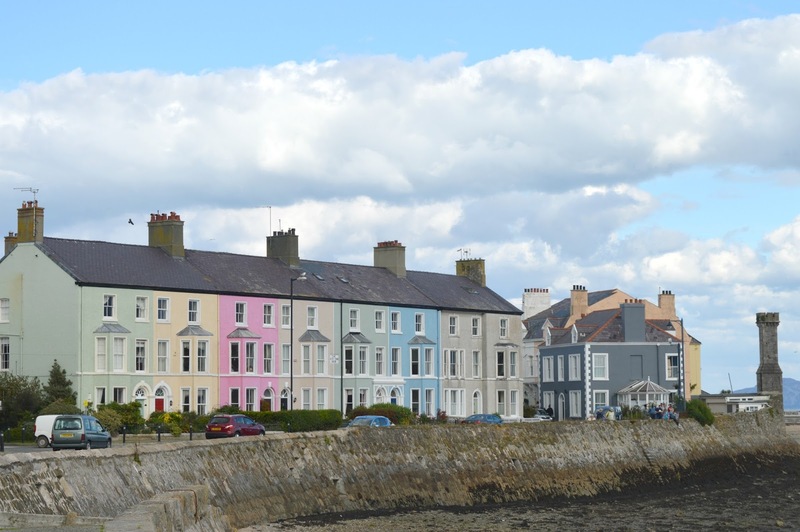 Beaumaris was our perfect home for the week and had the most beautiful views (once the rain had cleared!) 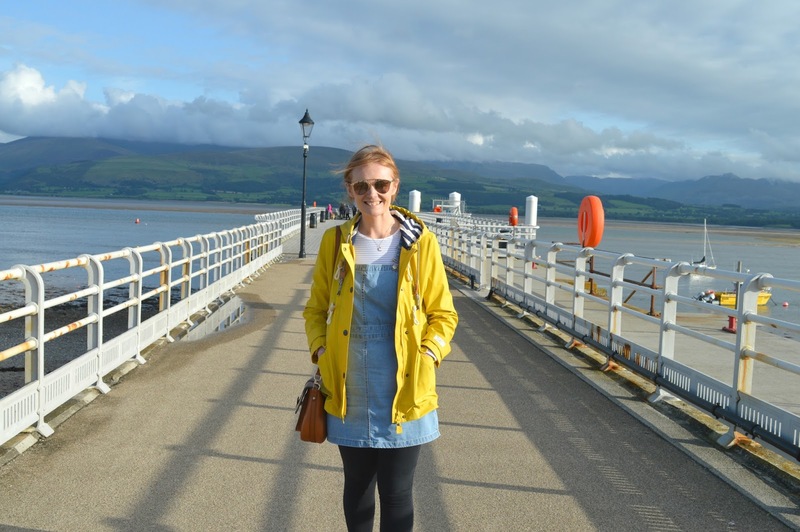 - if you were going to jump into a painting Mary Poppins style I'm convinced Beaumaris is where you'd end up. Colourful houses, lush hills, picture perfect sailing boats and streets full of beautiful old buildings - it was a dream destination. Wet afternoons were spent on mini bar crawls around Beaumaris where a huge variety of bars, pubs and hotels kept us occupied for hours. We got quite the taste for gin during our staycation and I became addicted to Rhubarb Gin and Ginger Ale. When the sun shone we were keen to get out to explore the surrounding area. During a short break in an afternoon of heavy downpours we had a lovely time skimming stones at Penmon Lighthouse, a hidden gem that was completely free of tourists. There are so many stunning castles in Wales and we only had time to visit a few so we were sure to pick out the very best. 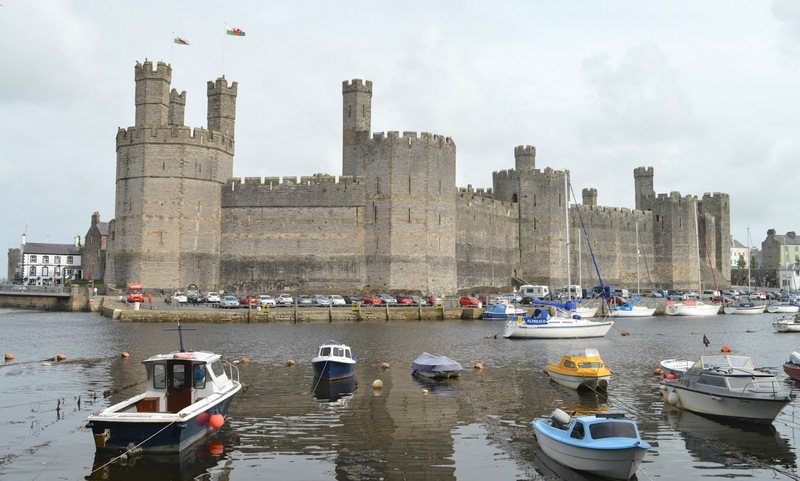 Caernarfon is a lovely little town and home to one of north Wales' largest and most impressive castles. 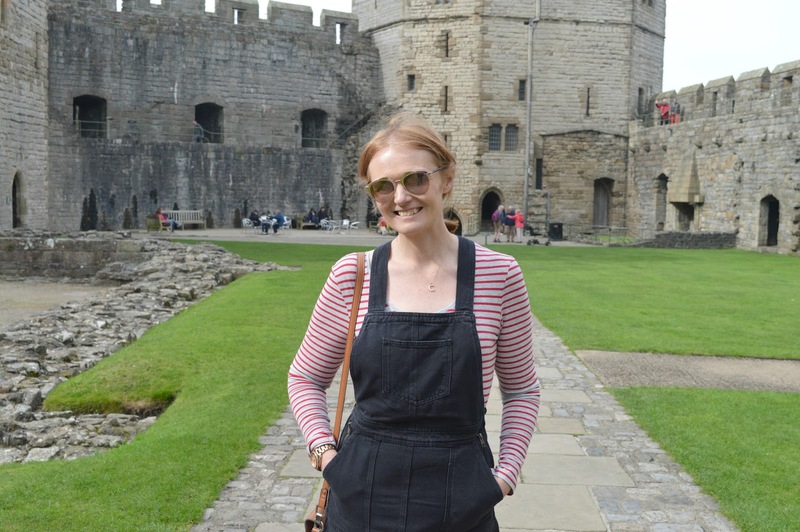 Exploring Caernarfon Castle involved strong legs as we climbed up and down the towers keen to see the breathtaking views and history came to life with an impressive amount of visual displays. Our visit was kept pretty brief due to my inappropriate wardrobe (I did not succeed in packing a sensible amount of warmer clothing for a British Staycation!) but one day I'd love to go back and have a proper explore! 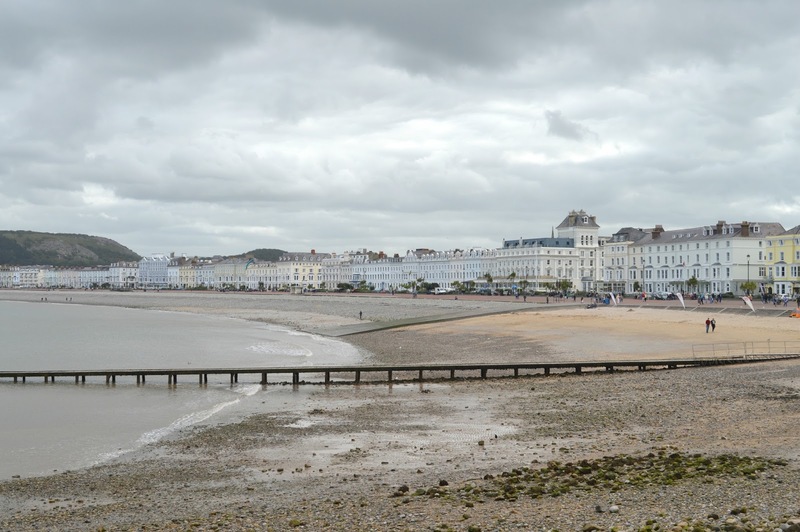 If I were to describe Llandudno to you, I'd say it's very much somewhere people come to retire. 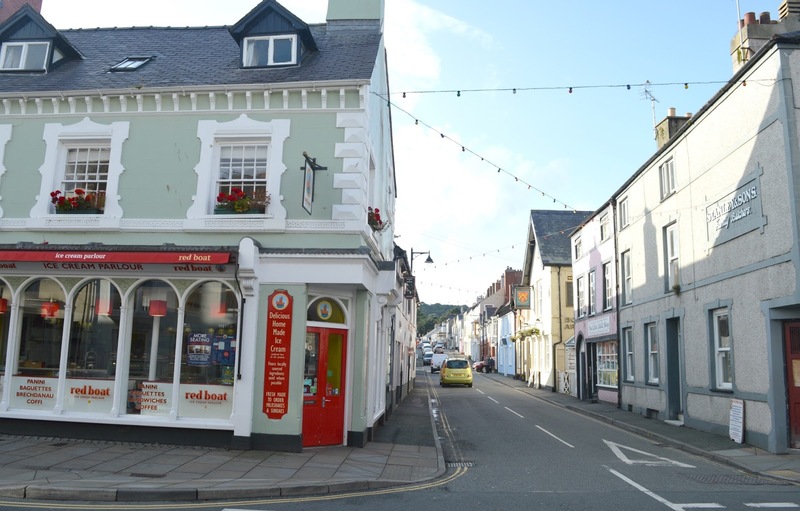 The streets are crowded with gossiping Nans and Grandads but it's also the perfect destination for a romantic stroll or for family seaside fun. We spent a lot of our time walking along the beautiful seafront, admiring the buildings, stuffing our faces with donuts and watching the very cheeky seagulls dive bombing tourists and stealing their food. The odd glimpse of the sun gave us the most beautiful views across the sea and with the dark and stormy clouds overhead everything looked very dramatic. 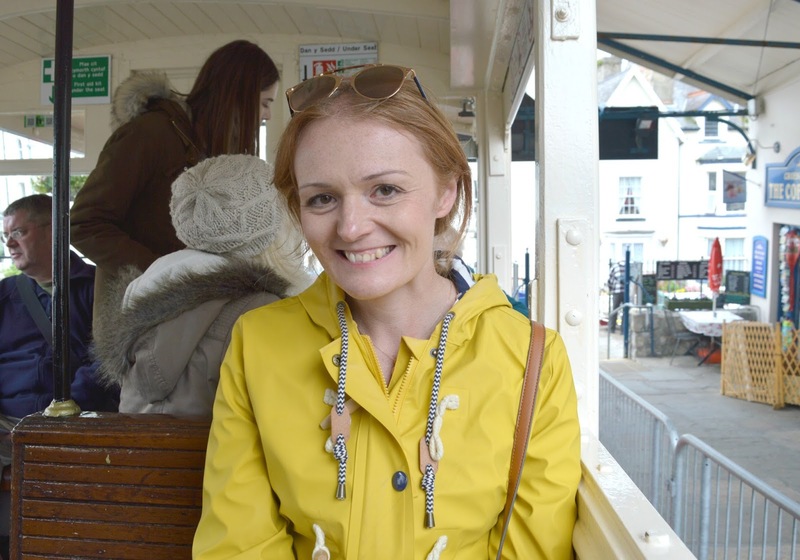 We were keen to adventure to The Great Orme, a massive chunk of limestone rising out of the sea and offering fantastic views of the North Wales countryside. 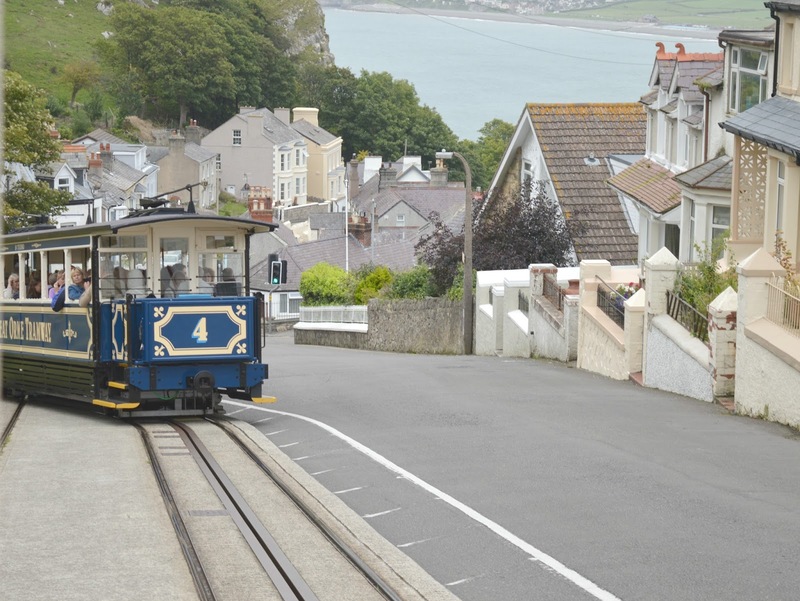 Enthusiastic walkers can enjoy a short hike up to the top of the mini mountain but we wanted to travel in style with a journey on the Great Orme Tramway. The Tramway is Britain's only cable-hauled street tramway and travelling up the hill in an original Victorian tramcar is quite an experience. As we journeyed up the steep hill, the views behind us were very impressive and it's a definite "must do" if you are planning a staycation in North Wales. When we reached the summit of Great Orme we were greeted to a pretty chilly and very windy hill top so quickly rushed to the peak to enjoy some beautiful views before hurrying indoors to warm up with a nice hot cup of tea. 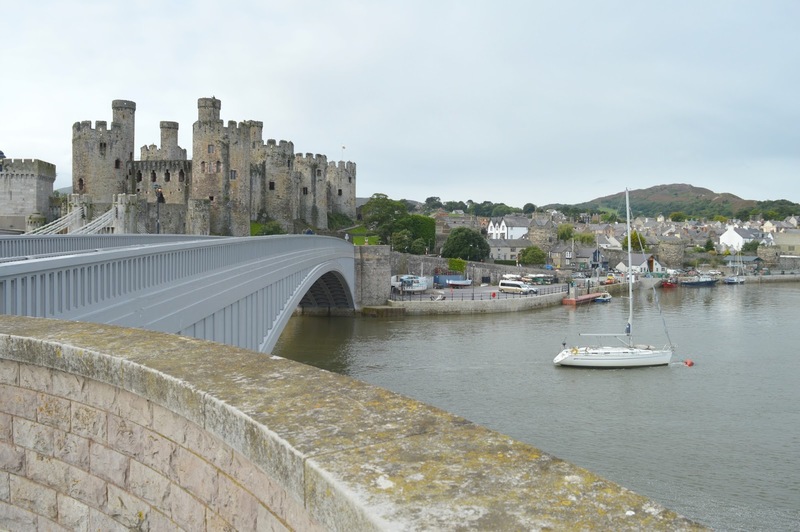 My favourite day trip of our staycation had to be our visit to Conwy. All thoughts of bad weather flew straight out of my head as soon as we drove into the beautiful medieval walled town. Day trips like this remind me how perfect a British Staycation can be. 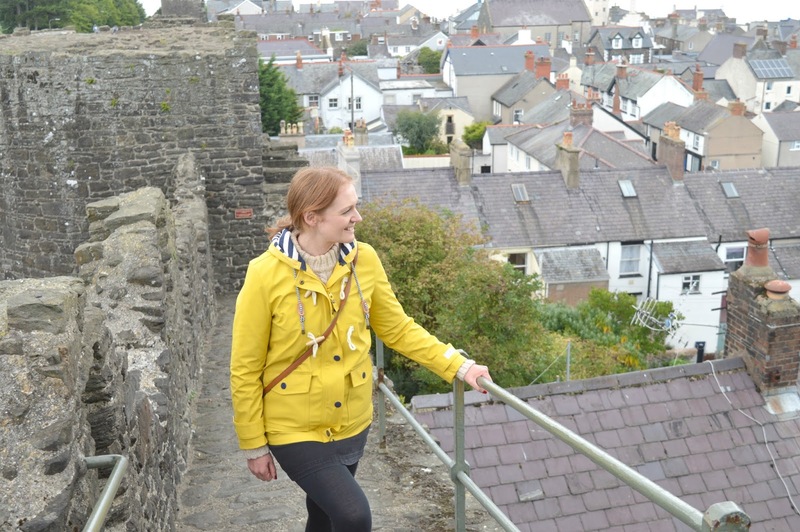 I've never seen such a perfect example of a medieval walled town before, almost all of the walls are intact and you can more or less walk the whole way round the town with plenty of aerial views of Conwy Castle from the highest points. If we thought the walls were amazing, we loved Conwy even more after exploring the castle which was easily my favourite of the week. With every spiral staircase we climbed we were greeted with an even more stunning view than we'd had before. I think I took pictures of the same view from every tower but I just couldn't help myself. 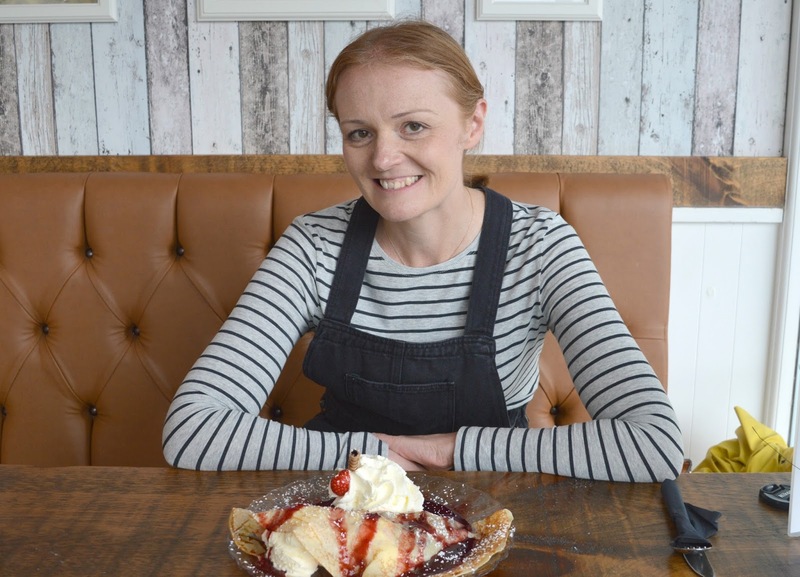 Of course it wouldn't be a holiday if we didn't stuff our faces and we found some real treasures in North Wales that would have had our Weight Watchers leader gasping in horror. Our holiday perfectly timed with the Beaumaris Food Festival, a yearly event held on the green in Beaumaris every September. Being eager beavers we bought a two day pass and spent a very enjoyable weekend eating as much as we could possibly manage. 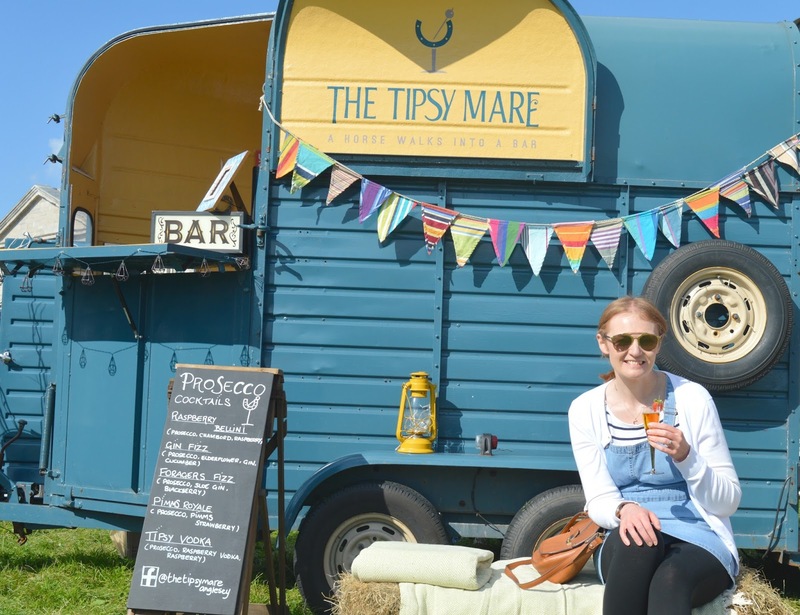 The most frustrating part about a food festival is not having the stomach capacity to eat more food but we gave it a good go, enjoying one of the best burgers I've ever had from The Little Food Hut, a huge apple crumble waffle from A Lot of Waffle and washing it all down with prosecco cocktails from the The Tipsy Mare and very potent cider from Jaspels. As soon as we spotted the tea shop a short stroll from our holiday cottage we knew we had to visit. 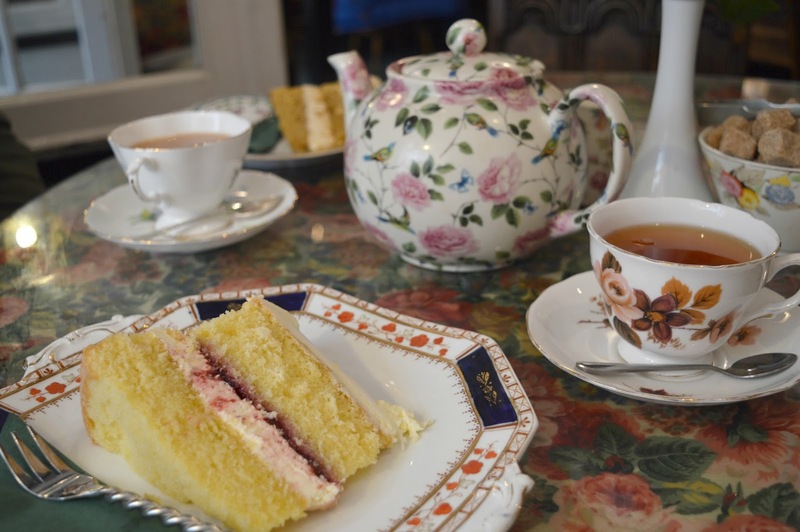 Stepping into Beau's Tea Room was a little like spending an afternoon in your Nan's cosy lounge. Fitted out with beautiful antique style furniture and colourful teapots we enjoyed the most delicious slabs of cake that kept us going for hours! 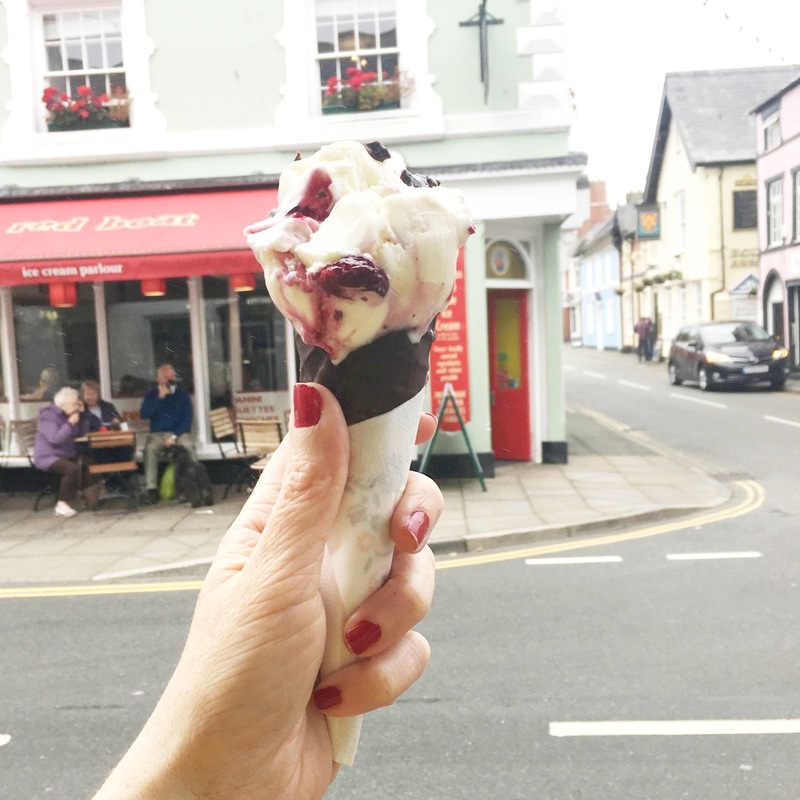 When we stumbled across Fortes Ice Cream Parlour in Llandudno my promises of not being a crazy blogger on holiday flew out of the window. 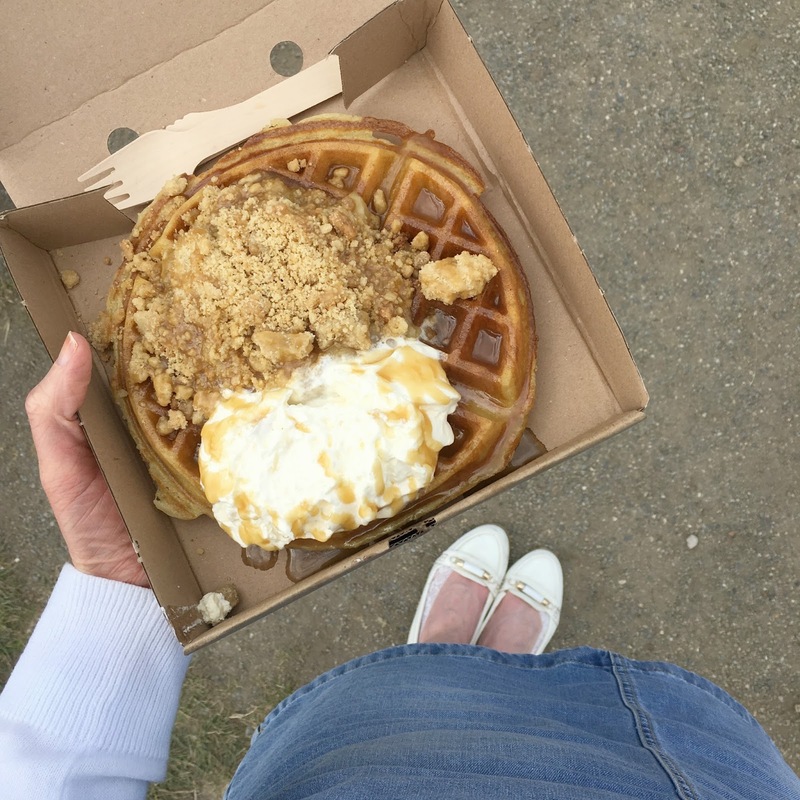 With its cosy booths, neon signs and instagram worthy waffles and crepes it was impossible not to take a few snaps and it took a lot of willpower not to have a full on photo shoot. The menu was epic, we wanted everything but in the end settled for a banoffee waffle for him and a cherry crepe for me. Don't you hate it when you find amazing places on holiday and then realise they are 5 hours away from where you live! Booo! Having become complete ice cream addicts this Summer it's probably no surprise that we managed to sniff out an ice cream shop a few minutes away from our holiday cottage. The Red Boat Ice Cream Parlour offered a huge variety of flavours and most days we'd find ourselves popping in just for a quick look at the counter. We let ourselves indulge on a very wet afternoon and my delicious Black Forest cone gave me Summer back for just a few moments. It really wouldn't be a proper holiday without a cone and personally I think on a British staycation they taste even better out in the rain! The one thing we learnt from our staycation in North Wales is that a British Staycation is what you make of it. Sure it might rain and it could be freezing cold, you will possibly find yourself stuck up a mountain wearing inappropriate clothing with water dripping off your nose but where else can you find beautiful towns rich in history, cosy pubs with hidden corners and friendly people to grumble about the weather to. I'd love to hear your experience of British Staycations - love them or loathe them? For more pictures from our beautiful staycation in North Wales and Anglesey make sure you follow New Girl in Toon on Instagram. Looks like you had a great time but when are you coming back to do the southern part of the Snowdonia National Park? But thanks for writing your blog to highlight our area. Ah it looks beautiful - my favourite photo is from the tram. I'd LOVE to do that. I love a staycation - we were blessed with mostly sunshine during our trip to Wales in July but it still did rain at some point most days, like you say though - you make the most of it. We hid in the pub and played board games (also ended up on top of a castle with rain dripping from our nose too). I want all of the food! 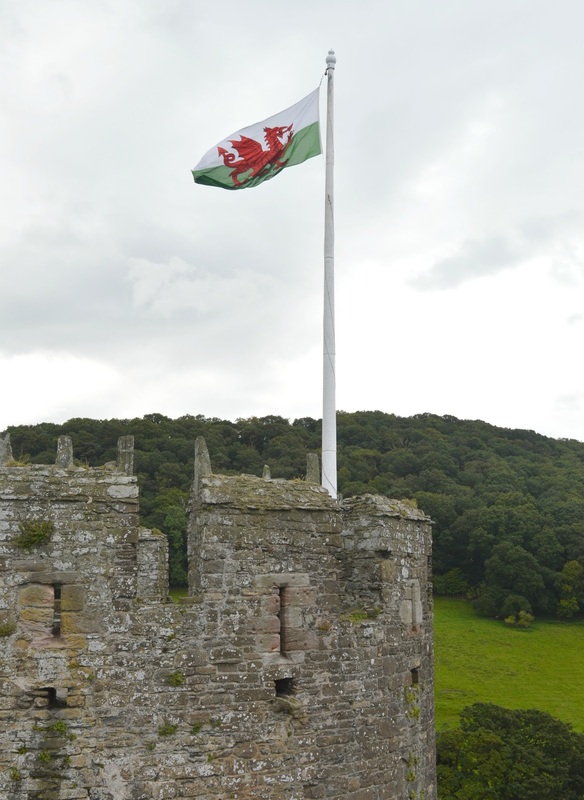 I love Wales, we used to go to Conwy when we were little and stayed in a nearby caravan park, I particularly loved visits to the castle and to the smallest house in the world, is that still there? Looks like you had a fabulous time and the food looks so yummy. 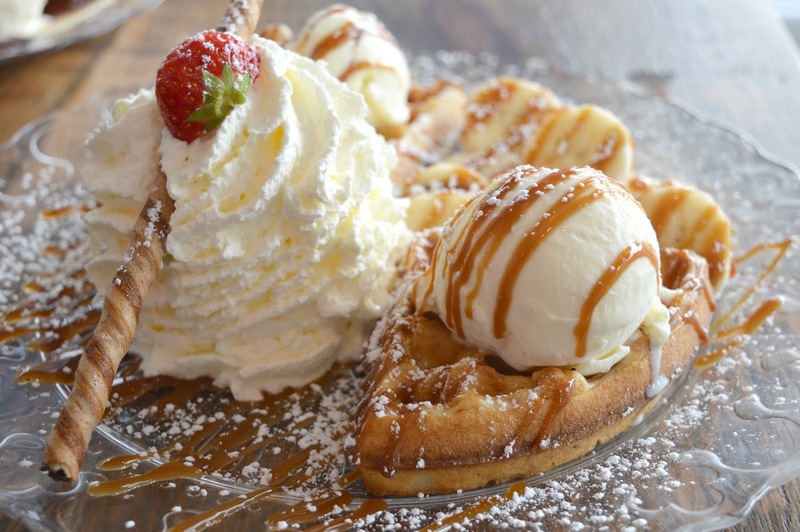 Never heard of Apple crumble waffle before - do you eat the waffle or use it as an elaborate plate?! Beaumaris looked lovely, though I only had a fleeting glance at it! We were much luckier with the weather but we were on dog walking duty and had to follow a skittish collie dog (not ours :) ). Years since I saw Conway but I loved it too. I love a British staycation but you are dead right about the weather! 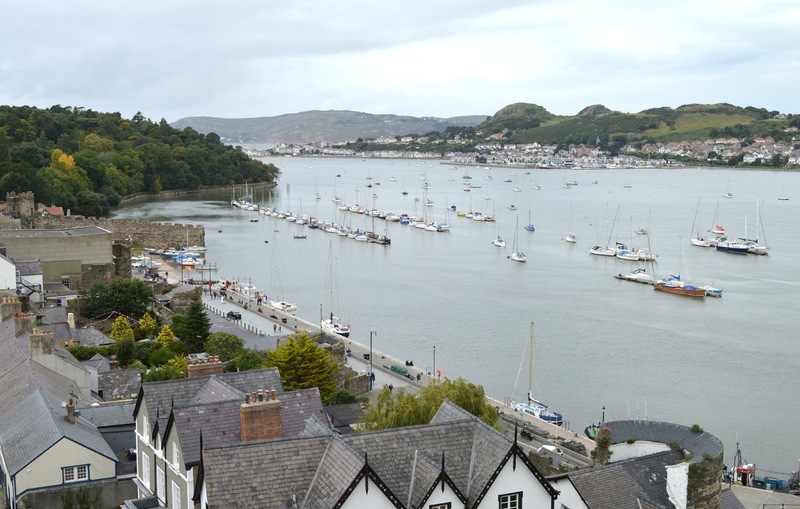 I've only ever been to North Wales once and we suffered from pretty terrible weather too, but like you we did manage a nice day out in beautiful Conwy! Beaumaris looks dreamy too! Do the Grind serve the Best Burgers in Newcastle?